You are here: Home / Tori's Kitchen / Food for Thought / To Big Gulp, or Not to Big Gulp? In a recent blog post, I discussed California’s ban on foie gras. The post sparked a terrific discussion about the government’s role in what we eat. While I don’t like to mix politics and food, the truth is that food is inherently political. We cannot survive without food, and eating and drinking are two of the most fundamental choices of our daily existence. The foods we consume have social and political ramifications that stretch far beyond our dinner plate. As I’m sure many of you know, New York’s Mayor Bloomberg has recently proposed banning the sale of large sugary drinks (over 16 ounces) in restaurants, sports arenas, movie theaters, food carts and delis. Councilman Mitch Englander has proposed a similar ban of soda sales at California parks and libraries. These proposed laws have naturally ruffled some feathers. Some are calling it the “War on Soda.” Many point out that this type of legislation is a slippery slope… first we ban large sodas, what next? Americans understandably become squeamish when their choices are taken away from them. Just look at how well Prohibition worked. While this soda legislation is well intentioned, I don’t feel that the government should be able to legislate what we choose to eat and drink. That said, obesity is an epidemic in this country, and we do need to make some fundamental changes in the way we eat. A better solution, I believe, is education… helping people to understand the consequences of their choices. No, it’s not healthy to drink 48 teaspoons of sugar in one sitting (that’s how much sugar is in a Double Gulp from 7-11). That said, it’s a choice, and consequences factor into every choice we make. Education and awareness will help Americans to better understand the consequences—both short term and long term—of our eating choices. As a nation, we obviously need to take better care of our health, but I feel that comes down to personal responsibility. If the government wishes to take a more active role in making our country healthier, perhaps nutritional education should become the focus. Even at the elementary school level, we could be doing a lot more to encourage healthy eating choices. Have you looked at a public school lunch lately? Pizza, chicken fingers, fries and brownies make regular appearances on the menu. With public schools cash-strapped and the economy in dire straights, I realize it’s difficult to make sweeping changes to an already stressed system. That said, we could (and should) be doing more to help children understand the importance of healthy eating. Even better, let’s start in the home by cooking more meals from scratch using healthy ingredients that taste great. It doesn’t have to be time consuming or complicated or expensive. See my Healthy Food category for some great ideas. Side Note: just in case you’re new to my blog, I’m not a total health nut… my motto is, “Everything in moderation, including moderation.” I’m not opposed to the occasional caloric treat now and then. That said, I do eat healthy, flexitarian, and Mediterranean-style most of the time. My bottom line when it comes to the soda ban: I feel we should educate, not dictate. As an American, I appreciate the freedom to make my own eating choices, as long as I am not physically harming others. I’m sure some will disagree with my standpoint. How do you feel about it? Is the soda ban a good idea? Do you enjoy a sugary Big Gulp now and then? How does the rising cost of health care play into this whole scenario? Do you feel that Bloomberg has gone too far? If the government ends up paying for people’s bad choices then I feel it can legislate a tax to pay for the treatment of those choices. It is an enormous sum! Don’t underestimate the nearness to bankruptcy the obesity epidemic is putting states in. 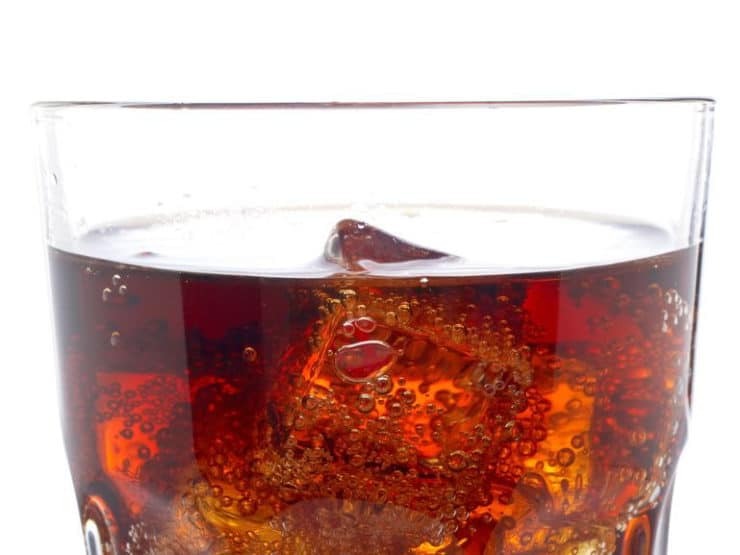 “Just a little” soda turns out to be a lot of dollars when it comes to treatment. Yes,…Mexico, Canada and places like Guam, other small Pacific Islands and others have already or are in the process of creating soda taxes. If the governments won’t regulate businesses to stop selling toxic “foods” and yet they pay part of the huge cost of treating its citizens how else can they afford it? Education is a given and should happen and yet the billions of dollars in ads put out by soda companies is meant to override and make you question that education. In the meantime budgets are being trashed trying to cover people’s medical care costs. No one’s choices are taken away with a tax. You are paying a little up front for the harm you will do to yourself and the state/city/country budget. When I studied Chinese Medicine, the concept of large iced drinks came up frequently. First, they are extremely detrimental to the Spleen energy, which with the Stomach is responsible for digestion and ultimately your vital energy or “Chi.” Secondly, liquids, especially iced are again very detrimental for digestion. The necessary acids are diluted, and the Stomach or “100 degree soup” is cooled down, again making it difficult for digestion. This is one of the reasons for so many people having to take antacids, as the phosphates from the soda are acidic and the Stomach cannot digest the food, so it refluxs and you get the GERD. One should not drink large amounts with meals and not iced for sure. Chinese Medicine has lots of things to teach us Americans with our chronic health problems and so much begins with diet! Tori, I have a question for you about food regulation. Are there other countries that legislate how people eat?I don’t mean for religious religions because many religions have their own eating code. I’m talking political reasons. I’m just curious. Thanks in advance. Education would be a great help. A lot of people KNOW how to make healthy choices they are just unable to. There’s this trend on twitter #SNAP4aweek – which asks people to try and eat for a week on a food stamp budget. This lead me to do a little research. The MAX a 1 person household can receive in assistance is $162.00 a month. That’s $40.5 a week. I don’t know about you but if I made strictly healthy and clean eating choices (fresh veggies and lean meats) with my $5.70 a day (for 3 meals) I’d still be hungry and end up malnourished. It’s easier and cheaper when you’re living a food insecure life to buy the high calorie, sugar, sodium, processed foods that are contributing to the obesity epidemic. I’m not blaming or judging anyone – I know if I had to choose between a bag of carrots and 4 boxes of mac-n-cheese to feed my kids – I’d go with the mac-n-cheese no hesitation. I think if the government wants to get a handle on the obesity epidemic they need to figure out how to grant all people of all economic statuses a true option to choose. If that ends up not working on then maybe they can think about banning the Big Gulp. Excellent topic and a fantastic discussion starter. 🙂 Thanks for posting! Soft drinks over 16 oz can no longer be sold. I only drink diet sodas but there is no differentiation. They never get it we have the freedom to do as we wish. What happened to America! At least we all know the consequences of sugar in soda. Aspartame being labeled as diet implying its better for you is such a joke. I have a neurosurgeon friend who will take a Diet drink out of a complete strangers hand and throw it in the garbage saying “you’ll thank me later”. I agree with your statement of, ” educate not dictate .” That being said, if the gov’t decides to begin banning what we drink why not start with alcohol ?? If the government stopped subsidizig corn, they wouldn’t need a soda ban. That big-gulp would be about $15 if high fructose corn. syrup wasn’t so cheap… And at $15 for A big gulp, I think we’d wean ourselves from 48-oz sodas. I don’t need the government coming into my home or my practices any farther than they already are. They can’t manage what they’ve already taken on… Legislating morality simply does not work. Examples…Prohibition…Cell phone restriction in cars… I’m serious! Just because it’s illegal hasn’t stopped it. It has only increased fine income for states through ticketing. I would like to see a 16 oz serving as a medium to large, and a “small” that’s small enough for a 4 yr. old to manage comfortably. The whole concept of Super-Size is way out of control. As far as CA parks and libraries….who sells soda at libraries? Most museums and libraries have a no food or drink policy already…wasting our tax $$ again there politicians!! School lunches…oh now there’s a subject close to my heart! If you happen to live in an economically challenged area, it’s likely your school district qualifies for government subsidies…commodities…government funded food products. Now let’s talk about “pink slime” and “finely processed chicken meat.” I’m very grateful my school district is able to get fresh fruits and veggies for the kids to supplement or replace the proteins. I worry when I see the “breakfast” items… It’s not “real food.” It’s sad and scary. Education and putting/making healthier options at a cost effective, competitive scale would help. I would like to know the pros and cons of everything but I do not need the government to tell me that what is bad for me and I can not have it. When you can not have something, then you want it more! I think that if the government were to make a positive impact on the nations health, they could start with the food stamp program. If EBT purchases were limited to healthy food items a large portion of low-income children would be impacted. Unfortunately, if EBT transactions were limited to “healthy” foods” (and who decides that?) a large portion of low income children would be impacted all right… negatively. To begin with, people on Food Stamps do not get enough in benefits to make it through the month, especially if they are feeding growing children so they have to stretch the food they get. This often translates into cheaper and starchier (ie: filling) foods. Many, many food stamp recipients live in neighborhoods without supermarkets and have limited or no independent transportation. They wind up spending their food stamps in corner groceries and bodegas where the selection is limited and the prices higher than in big supermarkets. When people CAN get to supermarkets they sometimes do not know what’s “healthy” and what’s not. Do you want people lined up at the checkouts and a 17 year old checker telling them which things they CAN buy and which they can’t? In a vacuum, will that help? How about some useful things, like giving food stamp recipients printed information about “healthy” foods and drinks along with their food stamp card? How about more supermarkets offer what ShopRite does in my area- a Registered Dietician onsite several days a week. She sees people for free and will help anyone figure put how to eat better. She will even take folks on a “shopping tour” of the supermarket. now THAT might help people learn and pass the knowledge on to their children. Government should stay out of people’s refrigerators, bedrooms, churches, and pocketbooks! Period! We fought the Revolution to get rid of tyrannical government and over-burdensome taxes. I am overweight and rather healthy. I can’t choose my genetics but I do eat little red meat, only 1 soda (diet) per day, and I’m not a big fan of sweets. I suggest if Bloomberg wants to put soft drink manufacturers, pizza makers, bakers, confectioners, and the like out of business he will find himself out of a job too!! Step up New York and vote the man out of office! What the heck happened to personal responsibility and freedom in this country? I agree with you. People need to know the consequences of what they eat, yet they have the right to eat what they want. Yes I am overweight and don’t always eat the healthiest, but I know what caused my chubbiness and how to change it. I do enjoy my fruits and veggies (I could eat just those all day), but I also have a horrible sweet tooth. Thank you for sharing your opinion and not making me feel horrible for enjoying my soda! If the sugar content is the issue, the person should be educated to know when enough is enough. I have changed my diet and no longer need to check my glucose 3 times a day.